Fun safari graphics cover the front of this all cotton crewneck from kids headquarters. Paired with palm print pull-on shorts for a complete casual look. Featuring a printed button-front and canvas shorts, this warm weather combo gets him dressed in a breeze. 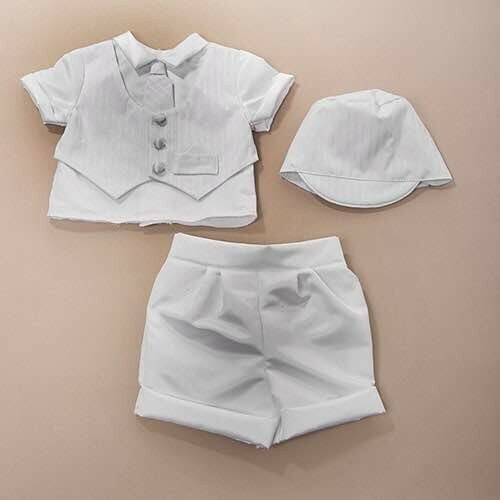 Crawling, playing or sleeping, he’s cute and comfy in this 2-piece set! 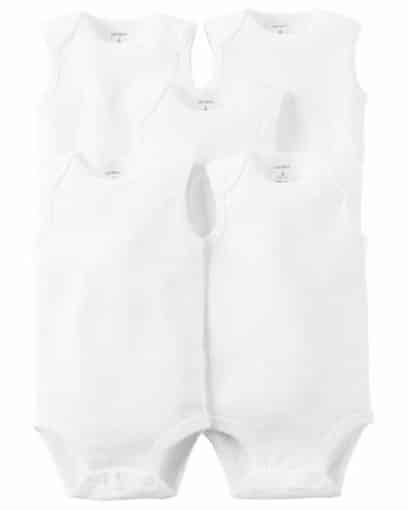 Complete with a rock star embroidered bodysuit and easy-on French terry pants. 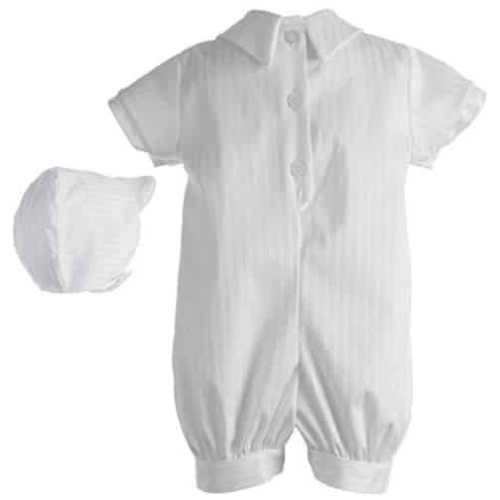 Crawling, playing or sleeping, he’s cute and comfy in this 2-piece set! 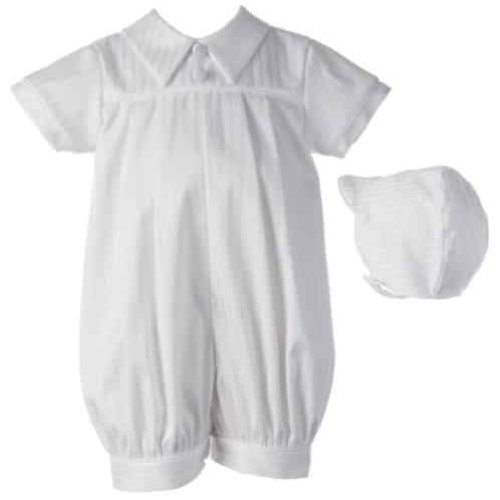 Complete with a sporty bodysuit and easy-on French terry pants. 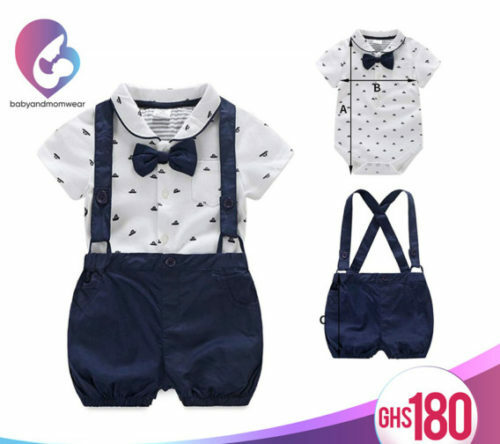 Baby boy Carters 2 Piece Set includes a stripe polo Bodysuit with a snap closures and a handsome Team Captain Applique . Also includes a pair of elastic waist knit pants with an elastic cuffed Hem. 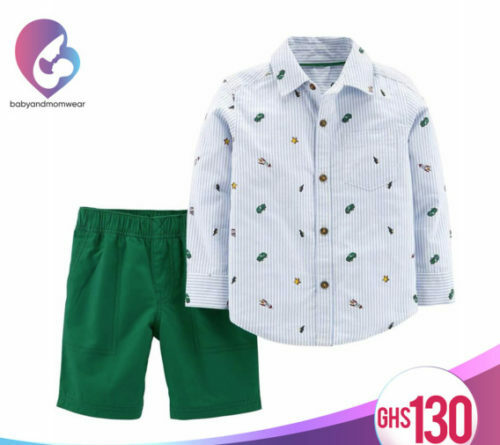 Crafted in soft cotton for day-long comfort, this animal set features a cute giraffe tee and coordinating shorts. Mix and match with this 3-piece set. 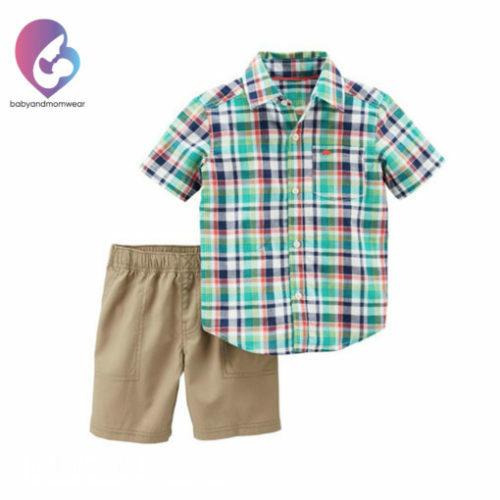 Featuring a striped bodysuit with a matching fire dog tee and coordinating chambray shorts, this set will be his new favorite! 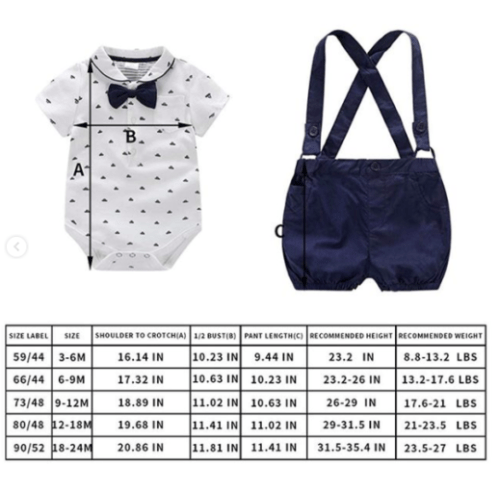 BEST GIFT —It has buttons in the crotch, button closure, convenient for wear and diaper changing. It is also a nice gift to your lovely baby. 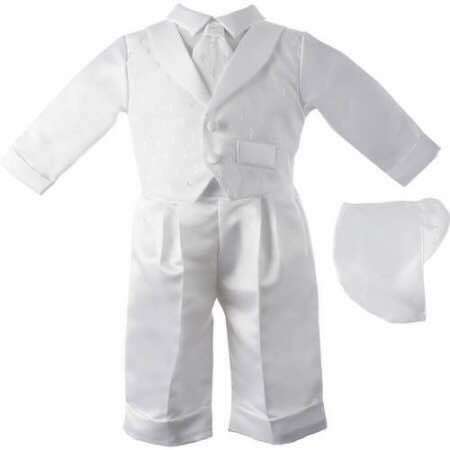 5.Well made and durable gentleman suit, Made of cotton, soft and friendly to baby skin. 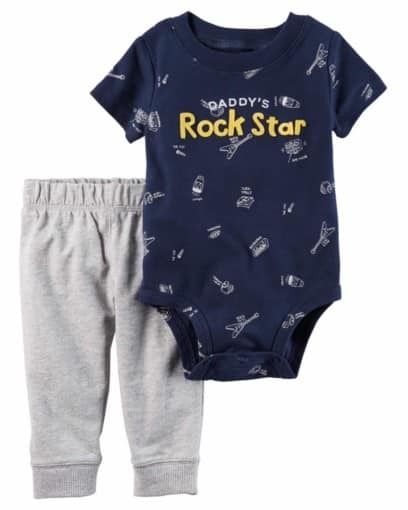 Featuring sweet little knee art and two coordinating bodysuits, this babysoft cotton set lets him mix and match with essential pants.